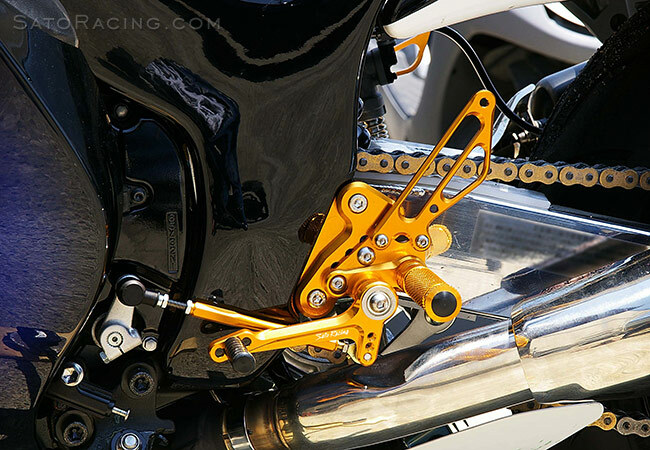 SATO RACING Rear Sets for 1999-2012 Suzuki GSX1300R Hayabusa (non-ABS) are CNC-machined out of high strength billet aluminum, with your choice of Black, Silver, or Gold anodized finish. 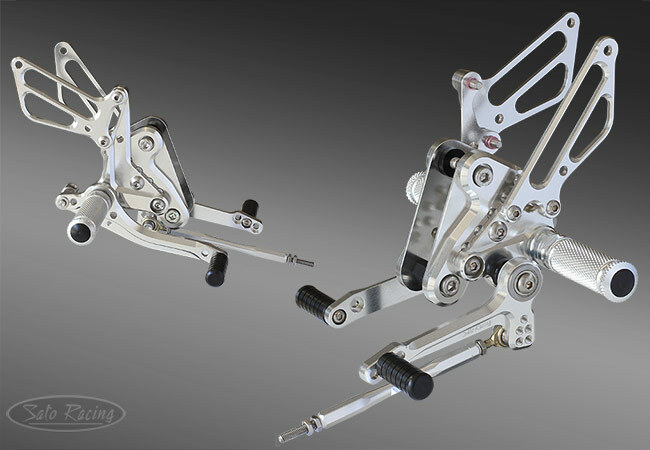 Featuring 6 adjustable positions in a range that brings your feet progressively higher up and further back compared to stock, for enhanced control and improved handling at the limit. 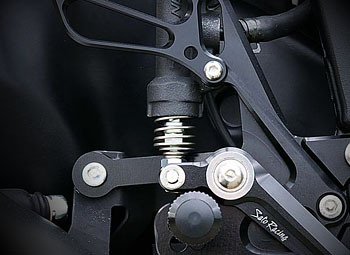 The standard Rear Sets provide a stock shift pattern. 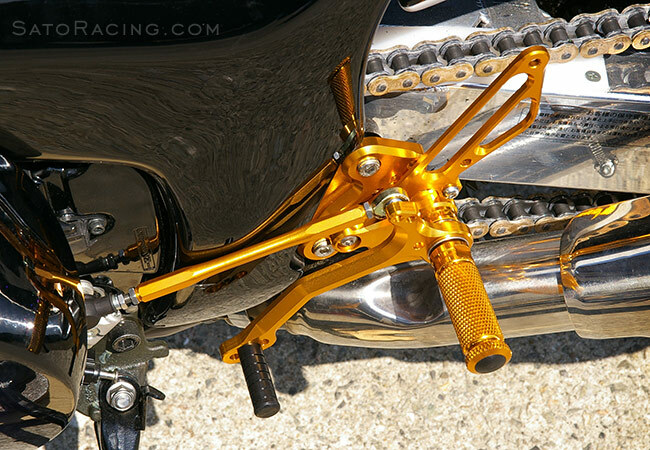 A Reverse Shift version of these Rear Sets is also available, for riders who prefer a reverse (GP-style) shifting pattern. 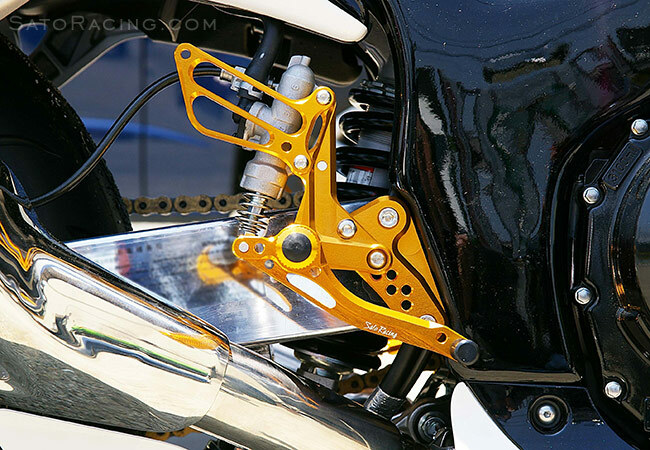 foot peg position on a 2008 Hayabusa (0 mm). 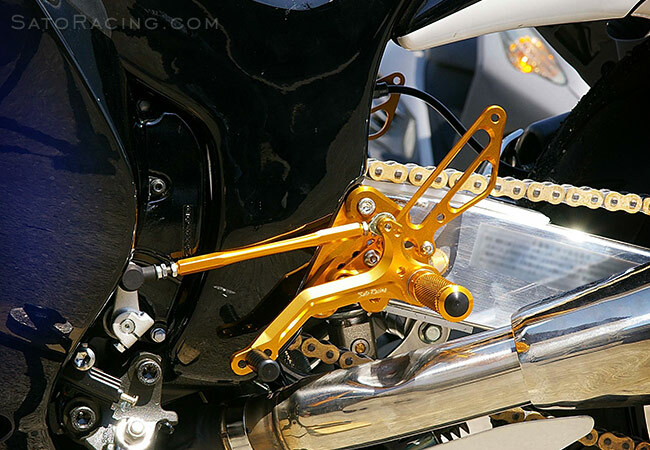 Rear Sets shown set at the highest position - 35mm up, 30mm back compared to stock. 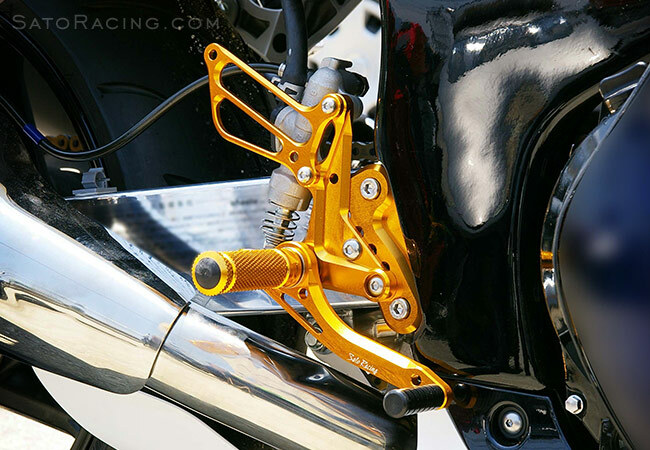 These Rear Sets are designed for use with the stock Suzuki shift arm and rod end, as seen in these photos. 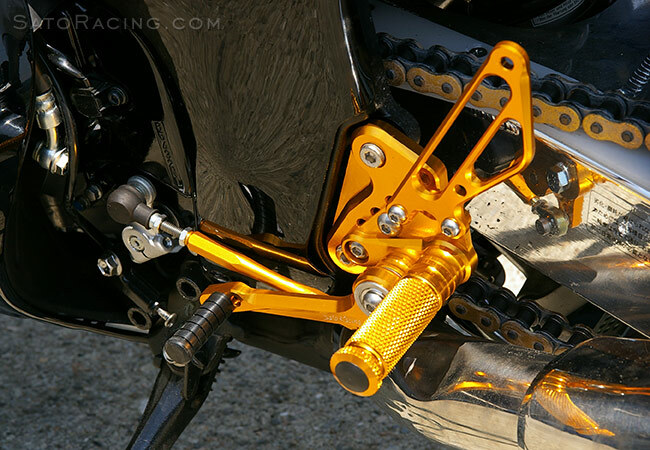 We now also make an adjustable billet aluminum Shift Arm kit (part# S-CA2) that works well with our Hayabusa Rear Sets, providing additional adjustment options for the shift linkage. 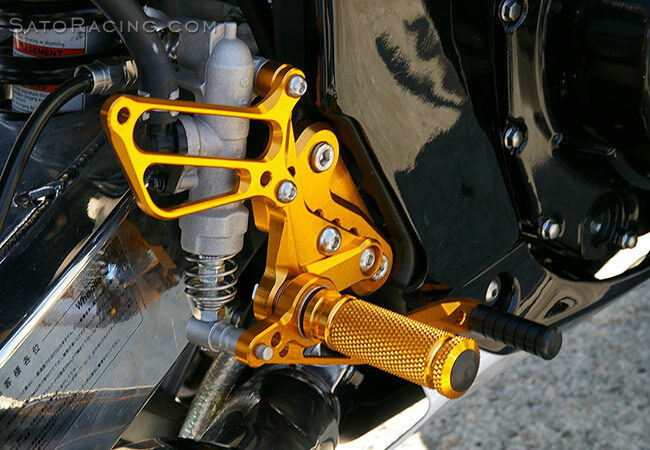 shift pedal that provides a dedicated a reverse shift pattern. 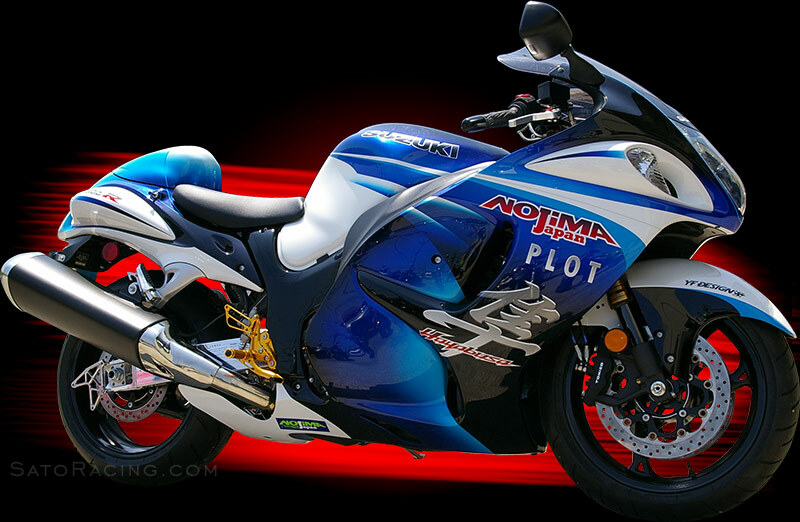 SATO RACING offers a full selection of Replacement Parts for our Hayabusa Rear Sets.